Early last year, we received a package in the mail from a little-known musician. He sent us a copy of his CD, a t-shirt and a poster. It might seem a little strange for a musician to send his music to a state tourism office, but not when the artist is Jon McLaughlin and not when his debut album was called Indiana. At my previous job, I heard that an Anderson University student won a competition at the school where he was given the resources to record and release his own CD. After reading the press release included in the package, I realized that Jon McLaughlin was that student. 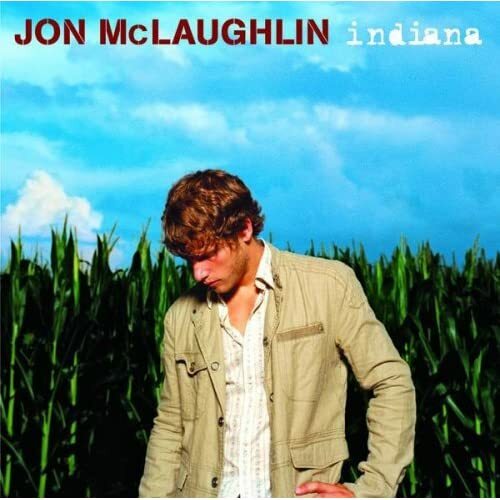 Since Indiana came out in early 2007, several of Jon’s songs have been featured on TV shows and movies, including one song featured in the film Enchanted that he performed live at the 80th annual Academy Awards in early 2008. He also worked closely with the Indianapolis Convention and Visitors Association (ICVA) to create an Indianapolis-based video of his song “For You, From Me” that features the sights of Indianapolis (YouTube video is embedded below). On Tuesday (Oct. 14) Jon released his newest record – OK Now. Time will tell if this record will sell as well as his previous effort, Indiana, but Jon has amassed quite a following and with more than 90,000 copies of his debut album sold, I would imagine that OK Now will top the 100,000 mark. If you’ve never heard of Jon McLaughlin, now is a great time to start listening to him. Check out the “For You, From Me” music video below or visit Jon’s page on Amazon to listen to or buy either Indiana or OK Now. If you end up buying one of his albums, you’re supporting a fellow Hoosier since Jon grew up in Anderson and now lives in Carmel.